October has arrived, and my boyfriend and I are traveling Europe for the next couple of weeks, so I figured now is the perfect time to share with you all my favorite travel outfit for fall! I am currently writing this blog post on a train here in Austria, and the views are breathtaking to say the least. The leaves decorating the trees along the Alps are various shades of yellow, orange and red, which immediately puts me in the fall spirit, which I suppose isn't that hard to do. It is my favorite season, after all! 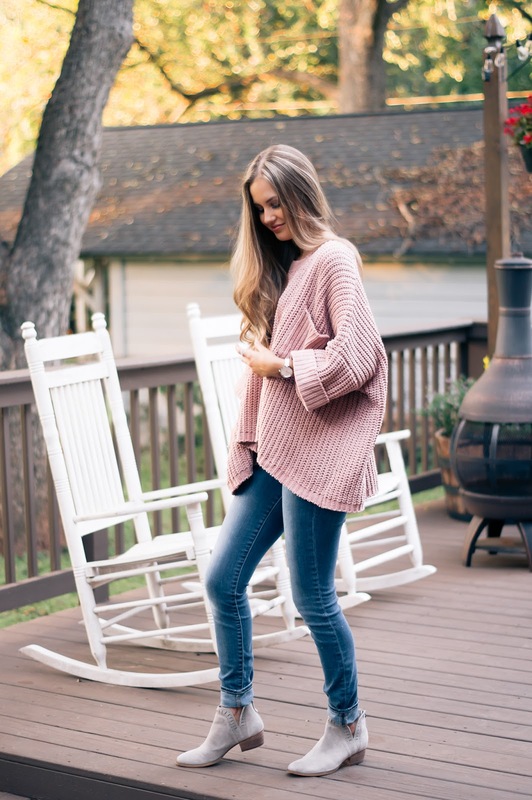 So enough of my rambling, let me share with you all my go to travel outfit for fall! First thing's first, as far as packing is concerned, do try to pack light! My current suitcase is way too heavy and my poor boyfriend has been stuck with the annoying task of lifting both of our bags up and down the stairs (bless him). When traveling to a new place, you never know how many cobblestoned roads or lengthy stairwells (four flights to be exact) you are going to encounter. Do yourself a favor and pack as light as possible, and be sure to pack items that you can easily mix and match to create new looks! I hope you all have enjoyed this post on my fall travel outfit. Also, if you sign up for emails from The Mint Julep Boutique you will receive $10 off your first order! I don't know about you, but I am all about those coupons! Be sure to come back soon to check out my travel diaries from Austria and Switzerland! I LOVE this sweater! It is the perfect color and oh so cozy!! This oversized sweater is perfection. I am on the lookout for an oversized sweater. May just have to get this one. Also, this color is gorgeous on you!! 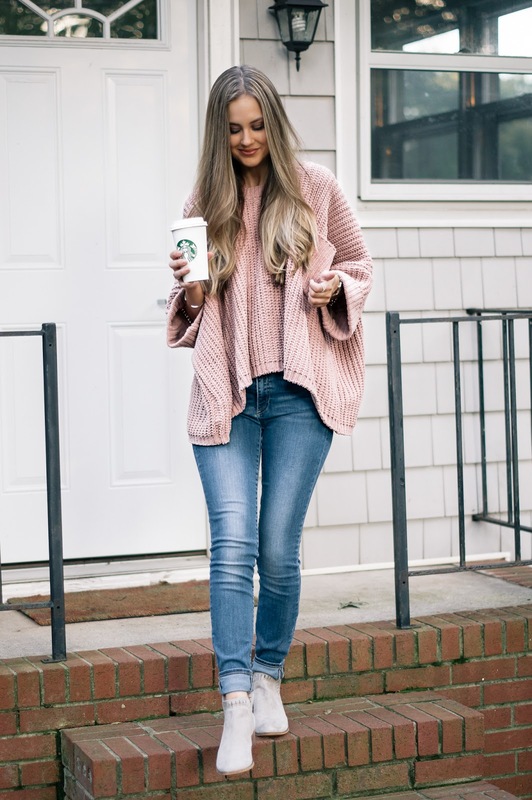 Absolutely love the color and fit of this sweater! You look beautiful!